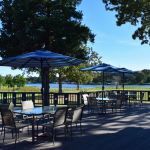 Ask fellow campers about "Lake Athens Marina and RV Park" and nearby attractions. Stayed at Lake Athens for three weeks and found it very nice. Loved the fact that it was on the lake. Management/employees were very courteous and helpful. We camped at Lake Athens Marina and RV Park in a Fifth Wheel. Needed a place to stay around Athens, this was suggested by a friend. Pretty nice place although maybe a bit more expensive for the amenities they have. Good 4g coverage with both Verizon & AT&T. Clear view for our DirecTV antenna too. We camped at Lake Athens Marina and RV Park in a Fifth Wheel. Our stay at Lake Athens Marina & RV Park has been delightful. It has obviously been updated since the last review. The park is well maintained with very nice employees. 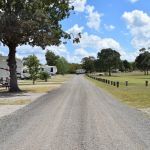 Our site had plenty of gravel and was level and the laundry facility was also very clean with reasonable pricing ($2.00 washing & $1.25 drying) There is a common area fire pit with supplied wood overlooking the lake. Nice clean bathrooms and warm showers. We will definitely be coming back in the summer to really take full advantage of being right on the lake. We camped at Lake Athens Marina and RV Park in a Fifth Wheel. The park is a bit small for a 40' towing. We got into our site OK but getting out will be another thing. There's a tree with low branches that restricts you to exiting only one way. So keep that in mind when parking, rather than slanting the way the lot slants. Very little gravel, not level. When checking in I was only informed of the restaurant and laundry, so I guess that's all there is? Laundry not very clean, one dryer broken but only 75 cents. A sign by the restrooms in laundry says to use the restroom on your RV, not those. They are reserved for the Yacht Club members. Pricing wrong on the website. Other than that, it's OK for the money. Not much view of the Lake at least where big rigs park. Just informed that cable TV wire was run a few years ago but never hooked up. We camped at Lake Athens Marina and RV Park in a Motorhome. The parks roadways are a bit rough but the campsites are on grass/grave/sand. This might be considered an older park but the view of the lake and the almost constant breezes and quite spots makes this an excellent place to stay. The laundry room was big with 6 machines. The people are nice and friendly and the marina club is lovely. The trash is picked up once a week and the grass cut on a regular basis. There is a excellent restaurant on site and a boat ramp & courtesy dock. We stayed here for 2 weeks visiting relatives and the weekly rate is the best around & they take major credit cards. We will Defiantly stay here again. I almost hate to recommend it to others so we can keep it to ourselves There are only 3 trees so ask for # 27 or # 28 sites. We camped at Lake Athens Marina and RV Park in a Motorhome. This place a seen better days. The weather and the lack of moisture has hit there customer base pretty hard. The lake is down but the lake side cafe is well worth the price. Great service, above average food and reasonable prices. Spaces were flat gravel but the cable and Wi-Fi worked well. All vegetation. We ran the AC 24/7 as the lowest reading we saw was around 80 early in the AM. Middle of the afternoon it was 110. We came to visit friends so it served us well. We camped at Lake Athens Marina and RV Park in a Motorhome. I stayed at this campground on a cold, windy, wet day and night. I was very disappointed with the roads and sites. Very muddy and if I hadn't had chocks for my jacks I don't think I could have leveled my MH. I wouldn't recommend this campground and wouldn't stay there again if in the area. We camped at Lake Athens Marina and RV Park in a Motorhome. Lake Athens is easy to reach and has a pleasant, quiet country setting. The cable TV and Wi-Fi both work great. There is a public boat ramp, bait shop and restaurant on site. We camped here about 2 years ago and enjoyed it then. Unfortunately, there are large potholes throughout the park and some required maintenance is lacking. For example, two of the six washing machines were out of order and have been so for a while. That said, we'd come back again for a restful stay. We camped at Lake Athens Marina and RV Park in a Motorhome. Simple lakeside park. Pretty good size pull thru spaces. Great restaurant at the marina. Easy access to water if you are boater, but none if you are swimmer etc. Very clean, we would stay again as a stop over. We camped at Lake Athens Marina and RV Park in a Motorhome. 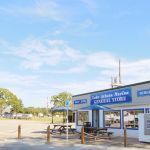 Are you affiliated with Lake Athens Marina and RV Park ?